when you try and submit the below form it says that a whole load of Q haven't been completed when in fact they all have. I also didn't think I had set anything to say that they all had to be completed. I am able to replicate the issue at my end with your JotForm when I tried to submit. I have cloned your JotForm to my account and see that there are few fields set to required inside a hidden section DASS21. 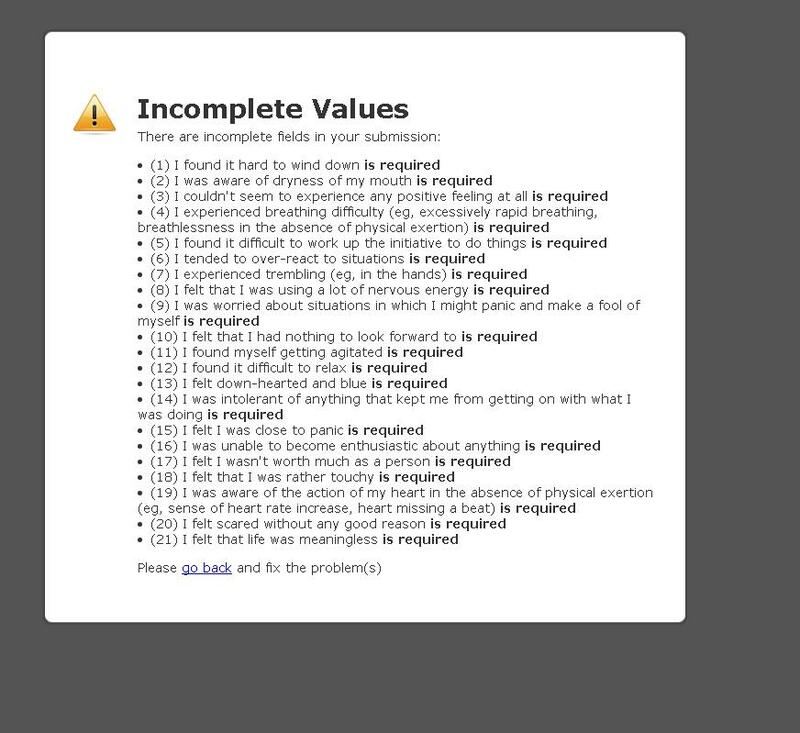 These are the questions being displayed in the error message. 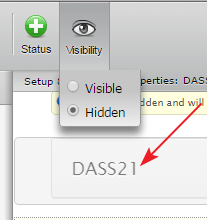 If you need to hide the fields on the form, you may follow the guide below so that the hidden fields are not considered as required. If you need these questions also to be answered, you may remove the Form collapse tool from the form so that the fields will be displayed normally. Hope this information helps! Please give it a try and let us know if you need any further assistance.